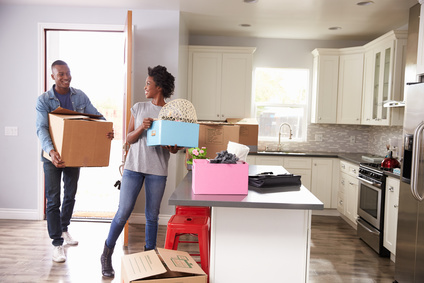 As you get ready to move into your new Orlando apartment, use the checklist below to help keep your stress low and your move completed smoothly. Set the date. Make sure to arrange a date with your new apartment that is convenient for you. Be sure to confirm with your helpers and your moving company. Scheduling during the week will make for lighter apartment traffic but may limit helpers being available to help you move. Packing materials. As soon as you know you are moving into a new apartment start collecting boxes and moving supplies. These can be purchased from most moving companies, but this is wasted money as they are easily acquired for free. If you are using a mover contact the mover to see if they have free boxes available to customers. If you are moving yourself a great place to get boxes is behind large stores where they often have a cardboard collection dumpster. Check your local recycling site too. Avoid the rain, once wet cardboard is weakened and you do not want to use it. Check at local furniture and electronic stores for fragile item packing supplies (bubble wrap, packing peanuts, etc.). Time. The biggest stress reducer you can give yourself is time. Many people indicate that a month is needed to pack up a house or large apartment. A dorm room generally takes about five hours to pack. Use this time frame to gauge how long it will take and give yourself some extra time. There is nothing more stressful than having your movers or helpers show up while you are still packing. Packing up. It is a must to have a plan before packing. Get a layout of the new apartment and determine where items will be going. Color code boxes according to the room in the apartment that they will be moving. This will make it easy on moving day to coordinate (Hint – mark boxes on more than one side for easy identification). Another trick is to number each box and keep a log with a brief description of what is in each box. This is especially helpful if you have many boxes and will not be unpacking immediately. Last put your essentials (e.g. children’s toys, laptop, a change of clothing, medications, toiletries, etc.) in a single bag or suitcase and keep them within easy reach at all times. Where is it going? When doing your new apartment layout plan make sure to include your furniture. It is a good idea to measure your existing furniture and make scaled size cutouts that you can arrange on your new apartment floor plan. This will help you move large items only once, and your helpers will be very happy. Mail call. Once you have the address to your Orlando apartment start the process of changing your address. Refer to our handy guide Forward your mail to your new Orlando apartment for more details. Get your utilities up. The quicker you get your utilities set up the more comfortable you will be, check out our page Set up utilities for apartments in the Orlando area for tips and contact information when setting up utilities in your new apartment. Contact information. On the day of the move get all your needed contact numbers in one place and keep it with you at all times. Numbers you will want are the movers, your helpers, apartment staff, electric company, phone company, and internet provider. Make sure everyone has a map of the new apartment location and knows where to park. Move-in Inspection. If your new apartment has an inspection, take it seriously. Take the time to evaluate each room closely. This is the form that will be used when it comes time to get your security deposit so clearly mark anything that is damaged. With a little bit of advance planning, the stress of moving to your new Orlando apartment can be greatly reduced. While it is unlikely that it will go perfectly you will have all the tools to deal with anything that comes up. Good luck!